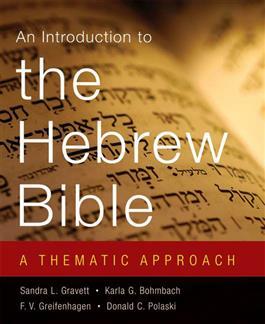 This pedagogically astute introduction to the Hebrew Bible is designed specifically for undergraduates. It begins with the most basic questions: from where and when did the Hebrew Bible originate, how was it written, and how did people read it? In focusing on the fundamental question of the canon--Who are we?--it first gives much attention to the issue of identity. Then it explores how the ancient Israelites organized themselves in terms of power and state, and finally, delineates the larger questions of God and ideology within the canon. The result is a flow of topics that is in line with other studies of ancient literature and culture, without ignoring the religious function of the Hebrew Bible. Through art, photography, literature, and popular culture, this text vibrantly presents the concepts of the Hebrew Bible.